Out of the whole 32-years I have been living on earth, this is just unheard of. It’s extremely rare for a baby to be born pregnant and occurs in only 1 in about 500,000 births. Now, a new study is bringing new attention to this unusual condition. In the February issue of the Hong Kong Medical Journal, Dr. Yu Kai-man, a specialist in obstetrics and gynecology at Queen Elizabeth Hospital, writes about how he and his colleagues tested a newborn baby because they thought she had tumors in her stomach. 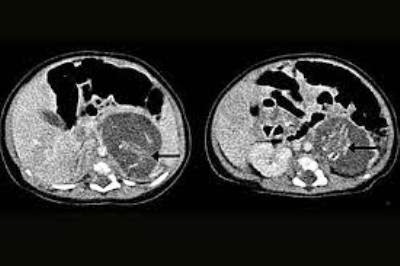 Results revealed that the growths were actually twin “fetuses” weighing 14.2 grams and 9.3 grams after 8 to 10 weeks of gestation, UPI reports. In many cases, doctors recognize the condition shortly after birth. In March 2006, doctors in Pakistan removed two fetuses from inside a two-month-old baby girl named Nazia. A 1-year-old Chinese child carried a “fetus” until the tumor was removed after a serious 10-hour surgery in 2009. Kang Menguru made a full recovery.